There are plenty of ways how to submit your blog sitemap to Google and using Webmaster Tools, in fact you can Google for it and can find 1000 tutorials on this single topic. 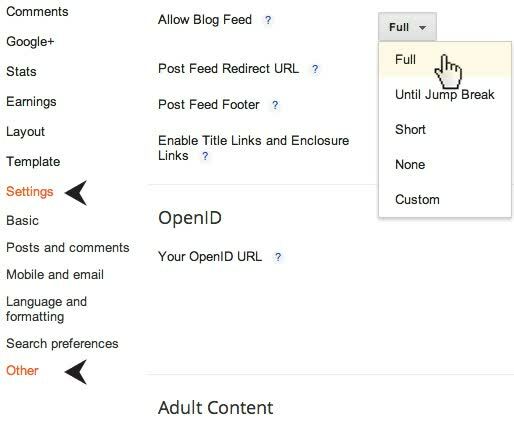 We will skip the tutorial of ADDING A SITE and SUBMISSION OF SITEMAP. The title mentioned "full" because most of the newbie bloggers only get 26 submitted and indexed sitemaps. will never index your site unless you do the following. • Select "Yes" for Add your blog to our listings? • Select "Yes" for Let search engines find your blog? Wait for 3 days for Google to crawl your entire blog. This is the proper code to redirect Google to default Blogspot Atom Feed System. This Tutorial is submitted by Francis Morilao for Filipino Bloggers Worldwide. You might as well visit his website Here. Please leave a comment after you've done this successfully. question: how many sitemaps can we put? I placed all codes available. Will this be redundant? What is the consequence? Thanks! wait for 3-5 days at ok na yan! and wait for 3-5 days for Google Crawlers to check your entire site! i never tried this yet but with this tutorial magawa nga. this is a big help for my blogsite. I've learn so much, but I wish there will be a version for Wordpress users. Is there any? I think it's not necessary for blogspot users to tweak this sitemap thing cuz I presumed Google already sets everything by default in the blogger's favor. The webmasters tool, well, it might be useful for those self-hosting blogs. But thanks for the heads up. What is a blog sitemap btw? Thank you so much!!! Will try this today! I've actually submitted all my blogs' sitemaps to google but i noticed after doing so, PR for my one which is not updated regularly went down a notch. i guess when you submit a site to google, you have to religiously update your blog or else risk the PR loss. Nice! Helpful site. Thank you! Thanks. A friend (new to blogging) and I were talking a few days ago and I told him to submit a sitemap. I'll forward this link to him. oh, this is good to know! I will definitely try doing this for my blogs! ito hinahanap kung tut, thanks for sharing bro. This may seem very basic but I've actually come across a couple of fellow bloggers who neglect these simple settings. thanks, I did as you instructed...and success! all my posts have been indexed :) Thank you! Wow congratulations merlmd! That was great, Enjoy Blogging! I have to take note of this. Okay lng ba na dalawa ang inilagay ko? Gosh, thank you for this tutorials! After inactive for so long, I am now updating my blogs! i havent been on my blogger site in a long time because i have so many pages on the internet. i mostly promote my novel on blogger, as well as some articles in the past. 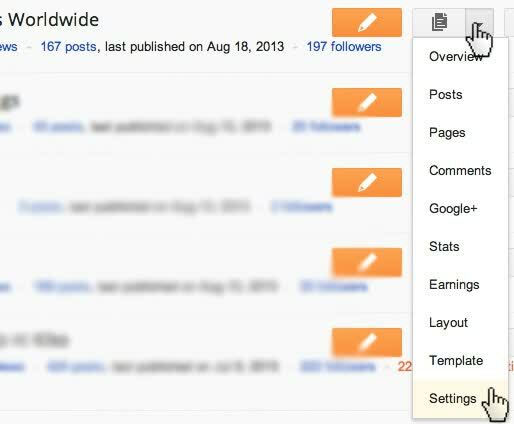 How about for wordpress bloggers? Have you made a tutorial version of this post? i am using Wordpress and I use a plug-in for submitting the sitemap to Google. thanks for sharing this post to blogger users (although I assume that Blogger already has some "auto" sitemap creation for blogspot blogs because they are under Google). What a helpful tips :-) Thank you so very much. I have not try this but I will now. I really do appreciate your help. I had this done to my PR3 blogger blog and like the others it went down after some time :/ I guess the blog really needs updating, thanks for the input. this is very helpful and very informative...thanks for sharing! great article, thank you for the heads up! i will probably do this for my blog for my new domain name. Wow, I will definitely try this. My first time learning about submitting sitemap. Thanks for sharing the info. bookmarked, will submit sitemap for all my blogs later. I used to do this one before but it seems hard now specially I have tons of blogs...But you have a very good tips...Thanks. i have tried this one with my blogger site, but i guess i did not understand it well so it doesn't work for me, will study further if i have time. this it was accepted waiting to get indexed. I'm a Pinoy blogger based in the US. Please check out The Filipina Then and Now by Lori Clark. My articles are written for other nation's better understanding of the Filipino culture / history.